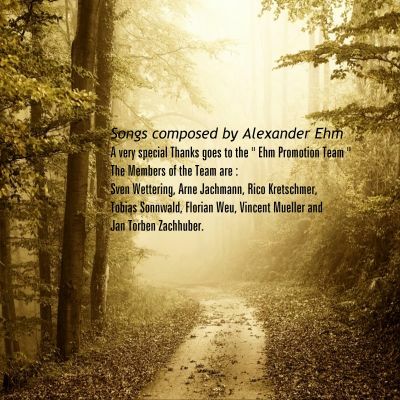 Alexander Ehm has primarily been known in his Country and circle as a proficient soundtrack composer. He has made his way into producing new original music under the name EHM. News: The Mumford Music Experience is the new Folk Rock Band formed around the german soundtrack composer & songwriter Alexander Ehm. For this Band, he recruted talented musicans and artists all over the world. And with the singer Medyoneful, he found the voice, that make the songs unique and special. As the name of the band already suggests, the sound reminds a little of the popular Folk Band Mumford & Sons but without ever being a cheap plagiatism. The happy and original Lyrics, combined with a new and fresh Folk Rock Sound, is the receipt for this new music experience. The Debut Album " On the Way Home " contains 11 Songs and will be released in stores worldwide on 20.06.2017. Bio: In 2001 he founded his new musical side project EHM. EHM created two celtic pop albums; “Celtic Hearts” and “Celtic Power“. These productions were released in 2011 and 2012. In February 2013, the new album “Roads” was composed and produced and is a mixture between Country, Bluegrass, New Age and South American Music. The music is available in stores world wide and primarily popular on iTunes. Alexander Ehm was born 1977 in the German Democratic Republic. He has been primarily regarded as a Soundtrack Composer, who’s first attempt in the music business was the EP Soldaten, released in 1994. He went on to the Soundtrack genre and has been involved in many productions. He is still working as a soundtrack composer. 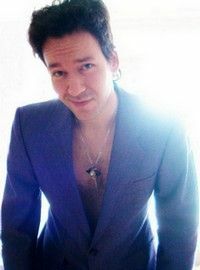 After various other independent albums, Alexander Ehm signed a contract with the German Label “Haute Areal“ in 2002. He released two albums for the label including, “Love Killer” and “13 Ways To Burn As Aphrodite’s Son. 52 visitors (528 hits) today! Do you like the tunes on the new album " Celtic Power " ? Yes, the album is great!